As much as I try, I can’t seem to remember a movie from when I was little in which all the main characters were female and they were the heroes instead of damsels in distress (and the Spice World movie doesn’t count). That’s the beauty of this reboot of the Ghostbusters franchise, hated and criticised by male specimens that seem to have nothing better to do than complain about anything that is beyond their short-minded standards, because guess what, women can save the day, too! It’s not just that this film is going to allow little girls these days to have female figures to look up to (like they already had since last year with Daisy Ridley’s Rey from The Force Awakens), it’s also that, well, it works. 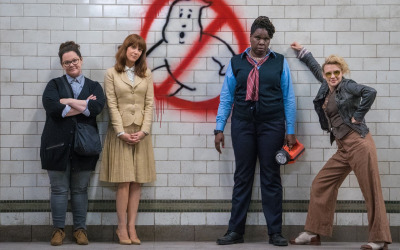 The four main actresses (Melissa McCarthy, Kristen Wiig, Kate McKinnon and Leslie Jones) have amazing chemistry together and deliver their lines in a way that elevates the film from mere action comedy to something to remember. Even though McKinnon gets the best moments, the four of them stand out as the brilliant comedians they are. 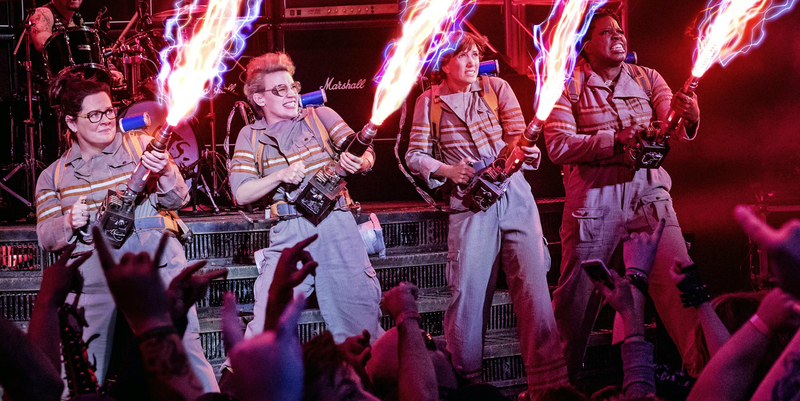 Even the introduction of a surprisingly hilarious Chris Hemsworth helps strengthen the movie’s message: girls can be just as funny as boys, and ghostbusting is not a job only for men. Some people have been giving mild reviews to the film (I noted they were all men, draw your own conclusions). Why can’t people accept that a comedy can be as good as any other movie? Are we undermining a film simply because it is not in the same genre category as The Godfather or The Grapes of Wrath? Well, let me tell you something: we need diversity when it comes to watching movies, we need to appreciate both comedy and drama, and we cannot criticise the former simply because it is different -it is its own style, just like dramas are their own style, too. And this diversity applies to the cast, too. I’m sick and tired of hearing that women can only be shaped in one way (again, this comes from men’s mouths), and Paul Feig is the man who breaks the mould to bring us four completely different types of women, women that girls from all over the world can identify themselves with. And that alone is enough for me to consider this movie as a huge success. I went to see this with a friend of mine (both of us male, and both of us HUGE fans of the original). I remember seeing the 1984 film in theaters and being utterly obsessed with it. Even had my parents make me my very own costume and proton pack (Neutrona Wand was my Han Solo blaster – GB toys were in short supply back then). That being said, this installment to the franchise totally rocked. I agree with all of your points. The film was wholly enjoyable, AND BETTER than the ’89 sequel. The filmmakers struck a nice balance between old and new elements, and the little callbacks to the original were perfectly done. I’m hoping it does well enough to garner at least a sequel. This cast is too good for merely a one-off.